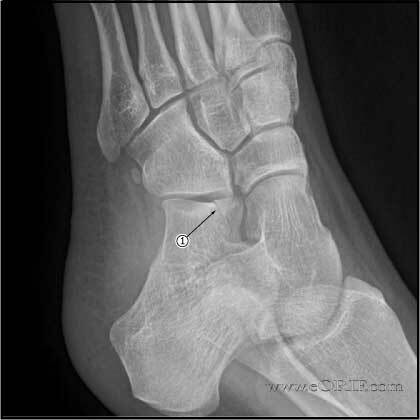 Swelling and ecchymosis anterior and inferior to the anterior talofibular ligament indicates anterior calcaneal process fracture. 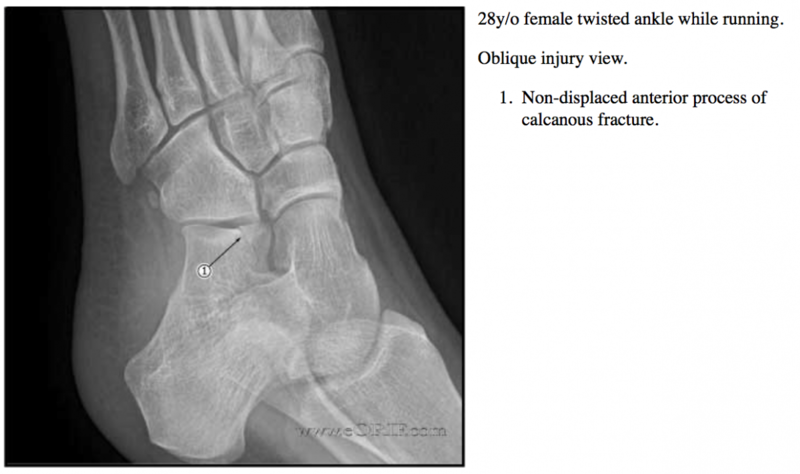 Consider oblique lateral radiograph directing the beam 20° superior and posterior to the midportion of the foot to visualization of the fracture. CT with 1mm cuts allows accurate assessment of hindfoot fractures and is indicated for patients with clinical suspision of a hindfoot fracture and negative xrays. 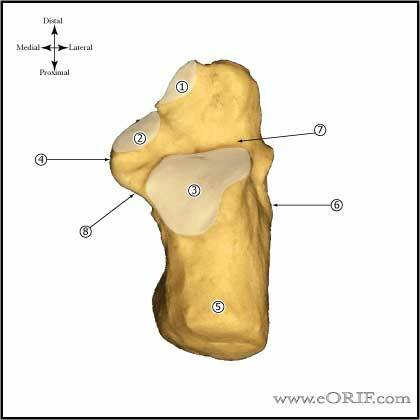 Noncomminuted, Displaced (>1cm in size or >2mm displaced): ORIF with small or mini-fragment screws or k-wires. It is rare to find an anterior process calcaneal fx large enough to warrant ORIF.